Thank you so, so, so much to EVERYONE who played along to our very first Global Design Project challenge. 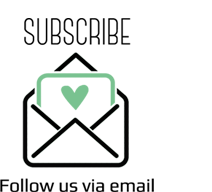 We have been overwhelmed by the amount of support we have received, not only from those of you who participated, bit also from our amazing Design Team, our friends, teams and families. Each week we will pick three outstanding winners, who will get to proudly display this badge on their blog. Yay! This card is a masterpiece! The technique Jennifer uses showcases the colours perfectly. 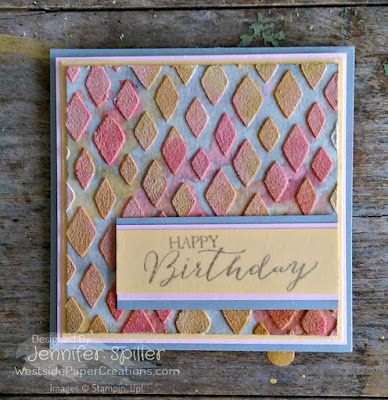 The soft colours of this challenge are a perfect accent to Nadine's crisp and clean 3D project, so beautiful. This card is so happy! 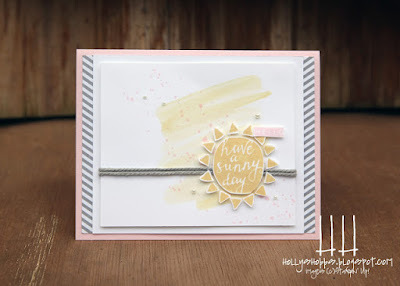 The sunshine in Holly's creation pops against the soft waterwash, a gorgeous card. I'm sure you will agree that choosing only three winners this week was tough! There were so many inspiring projects, not only from the Design Team, but from everyone who played along, thanks again to you all. Stay tuned because tomorrow we will bring you a sketch challenge you're sure to love! Oh wow!! 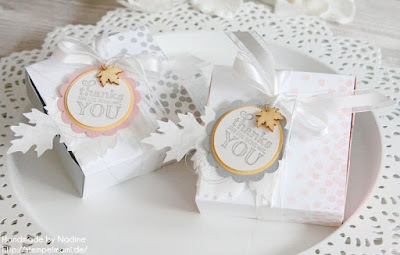 I just happened onto Bloglovin' and saw you guys had posted! I am more than honored to be among-st the winners. Thank You to the design team for picking my creation and for taking the time to have this fab. challenge. You guys rock and the Global Design Project is sure to only grow from here .. Congrats to Holly and Nadine your creations are beyond lovely!!! Congratulations Jennifer, Nadine and Holly. Congrats to the winners! Wonderful projects! Wow! I'm shocked and honored! There was so many talented cards and projects - I don't know how you all picked just 3! But thank you for your sweet comments and love! Congrats Jennifer and Nadine! Can't wait to play again! Sorry, my englisch are not so good, but i do my best and i hope you understand it ;) ! 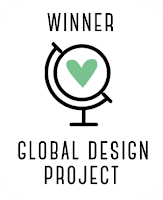 Thank you all so very much for your great idea of these Global Design Project Blog. There were so many wonderful projects ( thanks to all who participated) and am very happy to be totally in the top of three winners :) ! So, so many thanks for that :) ! Also to Jennifer and Holly go my warmest congratulations for their great projects and am already looking forward to the next challenge. Absolutely stunning projects everyone and congratulations to all the winners! Well done!!! I am looking forward to seeing what the next challenge brings!! !